Pic by Andrew Teebay. Story Newsdesk. Mosaic opens at Meols Park,Meols,Wirral,celebrating viking heritage etc,organised by the Friends of Meols Park. 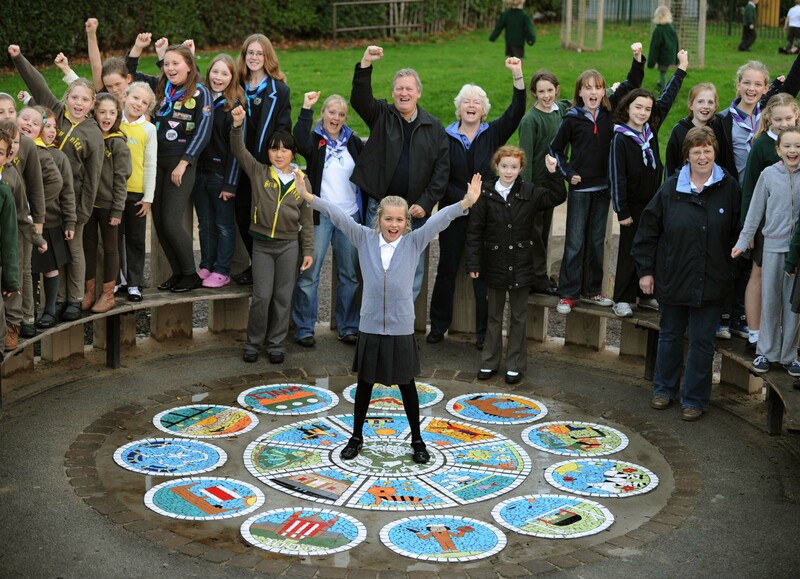 Ellen Shuttleworth aged 9(centre),standing in the middle of the mosaic with her dad Roy Shuttleworth(Secretary of the Friends of Meols Park)behind,celebrating the unveiling with Meols Guides & Brownies. Posted on December 13, 2011. Bookmark the permalink. Leave a comment.